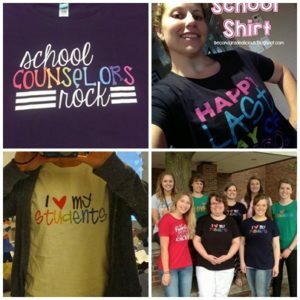 Here’s how to customize your new teacher tshirt so you can personalize them with your grade level team’s names on the back, change colors of your design and more! 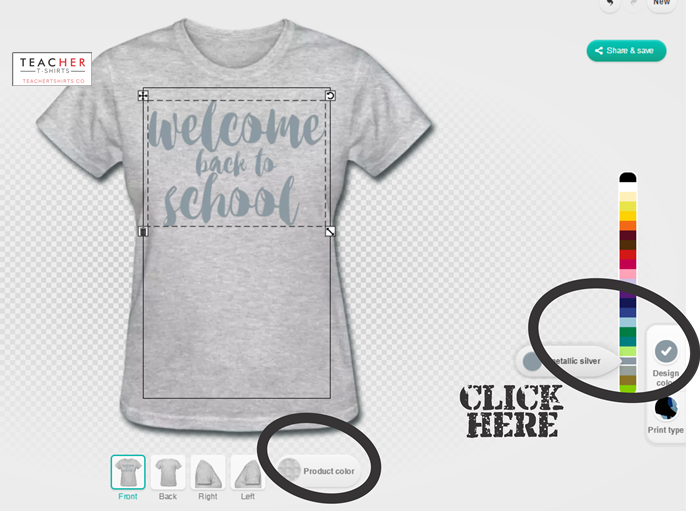 *Note: this tutorial applies to many shirts in the shop, but not all current products can be edited/customized. 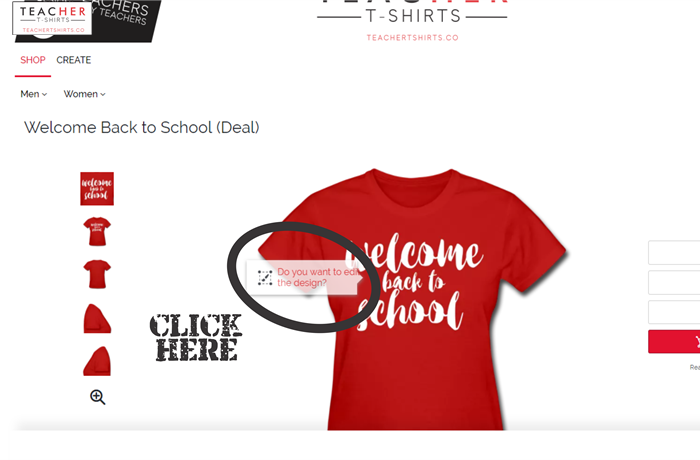 If you’re just wanting to edit/add names on the back – now choose the back view of the product and add text or click the NAME text box to change it to your name. 2. 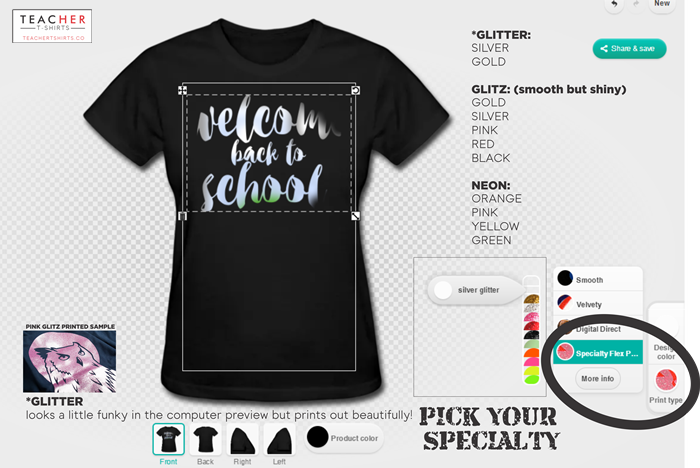 You can pick your shirt color or change the print design color too! 3. If you want to go for GLITTER or NEON – then you want to go for a specialty print! The results are amazing! You still get the same awesome price! !